sense of accomplishment permeated the festivities which included remarks by Governor Charlie Baker, Transportation Secretary Stephanie Pollack and developer John Rosenthal. Fenway Center is a mixed use transit-centric development containing retail space, apartments and a new deck level over the Yawkey Station commuter rail stop. The architect for the project is The Architectural Team. 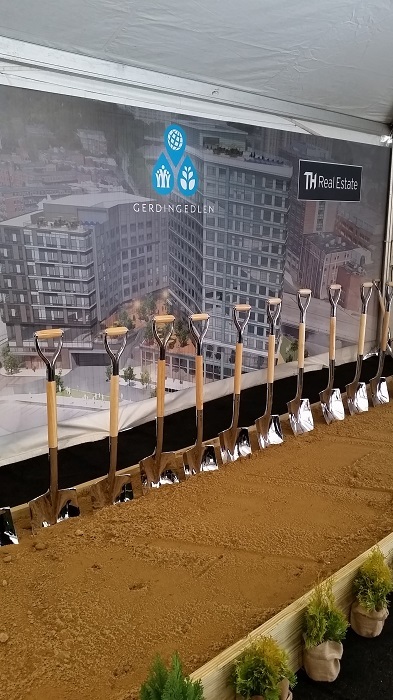 Click here for a video of several of the celebrants and activities at the Groundbreaking Ceremony. 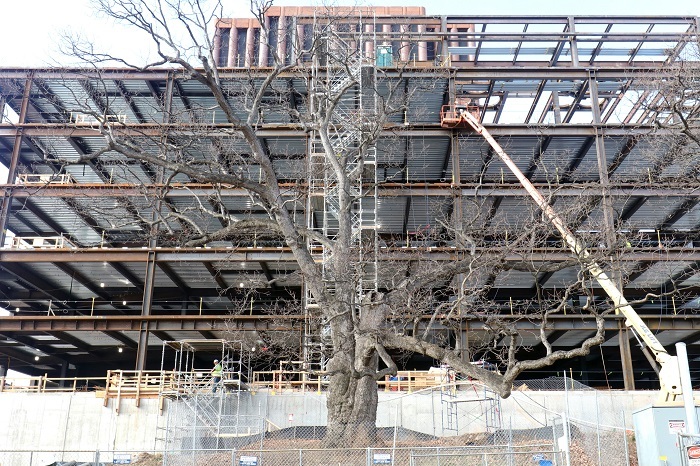 02.01.18 On Wednesday, Yale University celebrated the topping off for the new Yale Science Building. The project - designed by Stantec along with Pelli Clarke Pelli - is located prominently on what is known locally as Science Hill. The 290,000 square foot building will include laboratory space including chemistry, physics, aquatics and insect labs, state-of-the-art imaging technology, a quantitative biology center, and a rooftop greenhouse as well as a 500-seat lecture hall. A new Plaza Pavilion at the end of the historic Hillhouse Avenue with adjacent landscaped plaza built above the physics labs and existing KBT library will act as the central social and gathering space for Science Hill. The Yale Daily News has an article about the milestone.